AND…. it’s here! Our second (and biggest ever!) 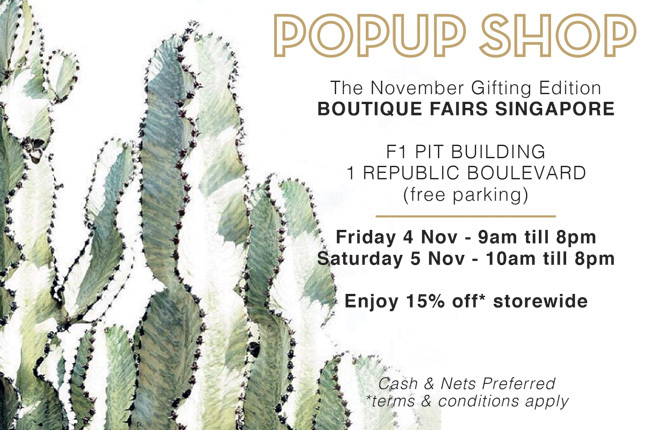 Pop-Up Shop, held at Boutique Fairs Singapore. 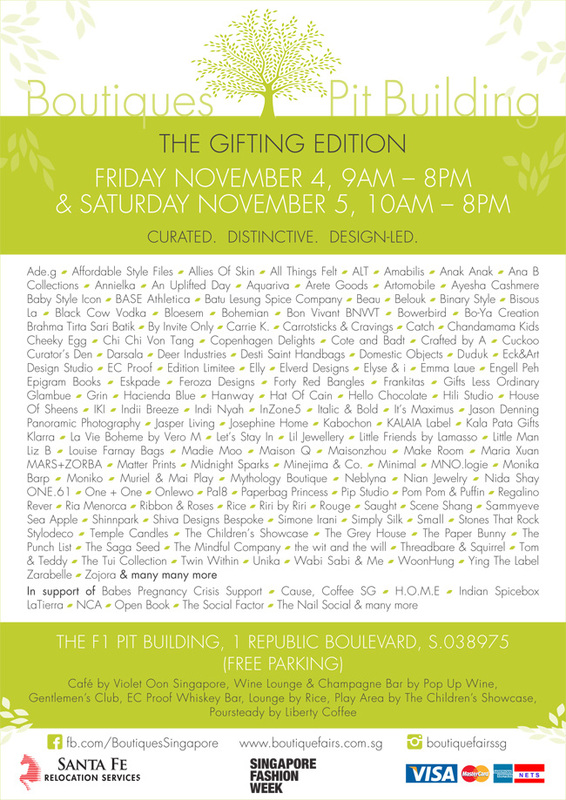 This time, it’s the gifting edition and consider your early Christmas shopping all done at this one-stop amazing fair. We’re not kidding you, when we first set foot on Boutique Fairs as a shopper ourselves earlier in March this year, we were surprisingly overwhelmed by the great variety of vendors, gorgeous curation of brands and merchandise and the very well put-together layout and vibe of the entire shopping bazaar. There is seriously no other shopping event like this one where we want to stay for hours and hours and not leave. So many things to see, so many things to shop and eat and there’s even a cool play corner for the kids and dads to rest and play! You’ll have to make your way down to judge for yourself. Little Man will be offering our usual 15% off storewide* for all goods displayed during the pop-up. Expect new arrivals from Black Crane, Publish Hers and Publish Brand, High-Low Jewelry, P.F Candle Co., Baggu, Korean Kids Clothes,The Horse and Traveler’s Notebook. Lookout too for everyone’s favourites from Sifr Tees, AL&ALICIA, SESSUN, Salt-water Sandals, Rifle Paper Co., Mini Rodini and Bobo Choses. Here’s a roundup of what you can expect! 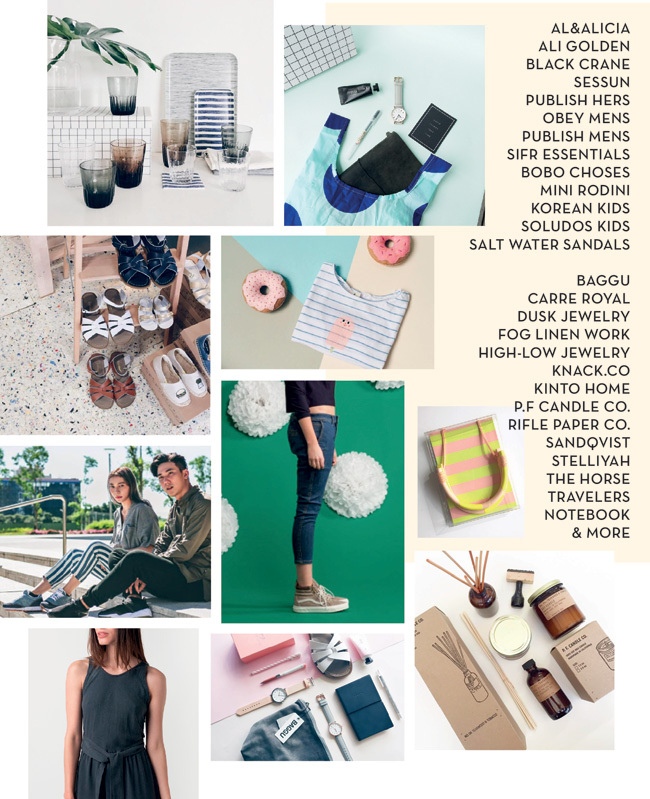 More information below on the brands and vendors alike that will be participating at Boutiques Fair Singapore. We hope to see you down! This entry was posted in Holiday, News, Popup Shop, Shop and tagged Bazaar, Boutiques Fair Singapore, Design, Love Local, Shop, Shop Small, Shop Small Businesses, Shopping, Shopping Event, Support Local on October 19, 2016 by Little Man.